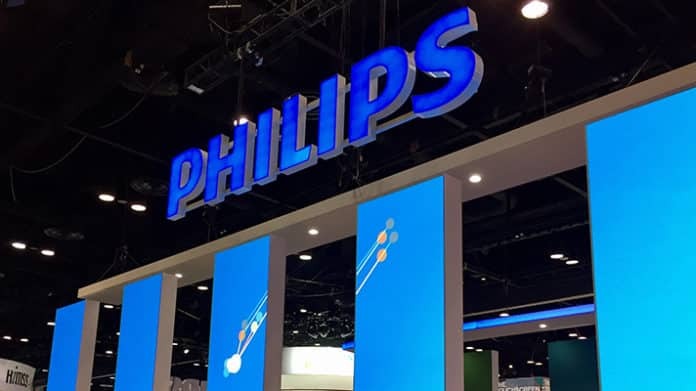 Phillips has launched a global start-up collaboration Global Startup Collaboration Programme On AI in Healthcare By Phillips program focused on the application of artificial intelligence in healthcare. Under this 12 weeks programme in total, 19 artificial intelligence start-up companies will gain access to Phillips healthcare technology & ecosystem. Innovation hubs like (Cambridge, US), Eindhoven (Netherlands), Bangalore (India) and Shanghai (China) focusing on the application of artificial intelligence (AI) in healthcare, are involved in the launch of its first global start-up collaboration program as said by Royal Philips today.The main focusing area of the programme are AI Based support tools and workflow tools which includes image interpretation, analysis, integration, intelligent treatment plans for radiology, ultrasound and oncology respectively. Under Philips’ proven incubator program for start-up companies, 19 early stage start-ups out of 750 applicants were selected. 19 early stage start-ups from 14 different countries will be engaged in this programme. Phillips will be assisting the participating start up’s in building and scaling up their ideas, and exploring possible collaborations. Benefitting from Philips’ world-class healthcare infra the chosen start-ups will have access to expertise to Phillips ecosystem including hospital, academic, industry and financial partners. According to Albert Prado, Head of Philips Healthworks, smart technology is utilized in philips which focuses on improving people’s health starting from healthy living, prevention to diagnosis & treatment, which in turns increases the efficiency of healthcare delivery. AI-Based solution are being developed by working with clinnical partners which will be used in clinical research. The main role recognized by the new collaboration program is to bring the startup companies to get a breakthrough in healthcare innovations to the market. Philips has developed an AI Platform – Philips HealthSuite Insights to support the adoption of AI in the healthcare domain. To Direct the process of building, Maintenance, exploit and scaling AI solutions healthcare tools and technologies are the main features of Healthsuite Insights. Machine learning and deep learning applications has already been enabled in the tools and technologies available through Health suite. Via this programme involving startups in healthcare and venture capitalists, it will give a global exposure to Phillip’s research and development programme.